On the surface, weight loss seems pretty straightforward. We have one goal and two tools: reduce your body fat percentage, with some combination of changes to your diet and/or training. 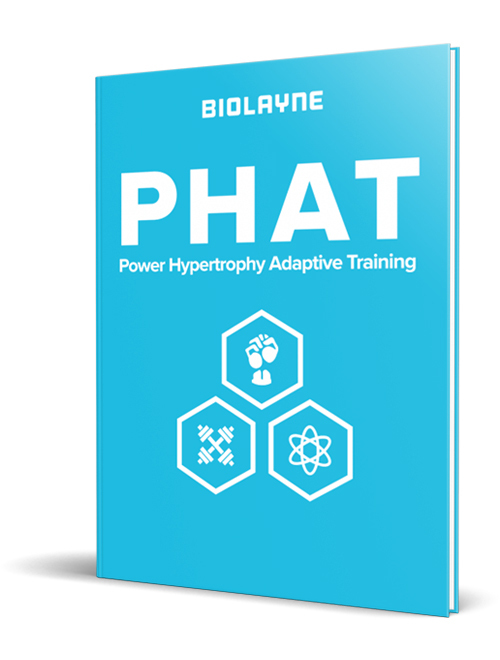 In recent years, the concept of metabolic adaptation has become fairly common knowledge. The general premise is that during contest preparation, the combination of weight loss and energy restriction causes reductions in metabolic rate. As a result of this knowledge, it has become increasingly common for individuals to budget this factor into their diet strategy, preemptively assuming that dietary restrictions and exercise activity may need to be increased more than anticipated, particularly in the later stages of weight loss. When it comes to metabolic adaptation, research has identified reductions in both resting energy expenditure and non-exercise activity thermogenesis. However, attention is rarely given to the effects of weight loss and caloric restriction on exercise economy, or the amount of energy we spend to perform a given amount of exercise. Let’s get the obvious stuff out of the way first. When you first start doing any type of exercise, you’re pretty inefficient at it. Until you start mastering the technique for that exercise, you’re going to waste a lot of energy. If you dropped me in a pool right now and asked me to swim laps for cardio, I’d get about three laps in before I would become exhausted and someone would need to throw me a lifesaver. I am terrible at swimming; in fact, flunking out of swim lessons in grade school was the first step in the long line of aquatic failures that characterize my life. However, if you gave me a little bit of skillful instruction and made me swim every day, I’d eventually be able to complete those three laps without burning a ton of energy in the process. This example demonstrates the general concept of exercise economy, or the amount of energy consumed to complete a given workout. In an excellent review by Barnes and Kilding  , the exercise economy of running is broken down to about 22ish factors, more or less. Some of these factors are out of our control, but many are highly trainable and adaptive. If you hadn’t run in years and set out on a 3-mile run, you’d probably burn a ton of energy and have some pretty sore joints afterward. You’re not a skilled runner, so your biomechanics and coordination are probably a mess, resulting in some serious pounding on your joints (this pounding would be evident, based on the crippling pain you would later observe in your ankles and knees). Luckily, your running form would become much more efficient over time. The good news is that you’d be able to run smoothly without totally beating up your joints. The bad news is that you’d burn less calories, even if you ran the exact same 3-mile route at the exact same pace. The point I’m making here is that many physique athletes crank up their cardio when they begin prep, and use forms of exercise they’re not accustomed to. As a result, it may be worth budgeting for an improvement in exercise economy that has absolutely nothing to do with metabolic adaptation. This is particularly true if you’re terribly inefficient at the exercise when you start, if the exercise involves a great deal of skill (for example, swimming versus cycling), or if the exercise involves moving your bodyweight. If you go from transporting a 190-pound body with terrible running form, to transporting a 160-pound body with great form, there’s going to be a meaningful discrepancy in the number of calories burned.